Teenagers are so frequently stereotyped in popular culture – and more recently, targeted by neuromyths – that it’s unsurprising that their fictional counterparts often fall into similar traps. Nevertheless, unlike the widespread recognition among authors that writing in a child’s voice is technically challenging, far more writers seem willing to take a stab at the teenage narrator, despite the results so often being unconvincing. Poor teenage voices are particularly common in adult novels largely narrated by adults, but which make use of flashbacks to the protagonist’s teenage years. However complex our hero or heroine is in the present day, you can assume they were a moody, isolated, melodramatic teenager, unless of course they fell victim to a tragic past. 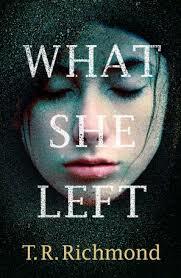 One example of this problematic trend that I recently encountered is TR Richmond’s debut novel, What She Left. Although told primarily in the voices of adults, the novel opens with a thousand-word prize-winning essay by its main character, Alice, purportedly written when she was fifteen years old. Alongside breaking all the rules about good novel openings, the essay singularly fails to convince as the voice of a teenager – a real issue in a novel that is mostly about voice. These thousand words do not read like a prize-winning essay written by a gifted teenager – frankly, they’re an insult to teenage writers, and show a real misunderstanding of how a talented teenager might write. Alice’s essay sounds exactly like an adult trying to write as a teenager, and getting it wrong, slipping into phrases that are too childish: ‘”You’ll change your mind,” mum says about the babies, but she said that about asparagus and I haven’t’ or too self-congratulatory in their ‘knowledge’ of how teenagers ‘really think’: ‘… if Mr DiCaprio is reading this, I am free on Friday…’ (Furthermore, I was born in 1986, like Alice, and by 2001 we were all completely over Leo – he was so 1998! The really important question in 2001, as I’m sure others will agree, was ‘Aragorn or Legolas’?) I was interested to find examples of how real teenage prizewinners might write, and a quick Google led me to these excellent entries for a competition on the theme of ‘Home’. Reading the entries for Key Stage 4, which covers 14-16 year-olds, I found far more imagination, experimentation and originality than ‘Alice’ ever demonstrates – even as an older writer. How to write a teenage character well, then? The obvious advice, as with any character, is to think of them primarily as an individual, rather than somebody defined by their age. Nevertheless, that doesn’t mean that you can’t consider how their necessarily more limited life experience has affected them, and how they interact with the cultures that surround them. My go-to example for a convincing teenage voice is Rhys Thomas’s The Suicide Club, because it somehow manages to convey a teenage world that is incredibly specific and yet feels somehow timeless, detailing its characters’ shortcomings without become patronising or stereotypical. Even more difficult, I think, is to engage a reader with the intensity of being a teenager without seeming overdramatic, which is why I think so many authors preserve an ironic distance between themselves and their teenage characters. (Nobody wants to be accused of writing the next Sweet Valley High.) Nevertheless, the experiences we have during our teenage years do matter, and to minimise their importance because it is technically difficult to get readers to connect with them is both disrespectful and lazy. Authors need to approach the question of age with as much thought and care as they would (ideally) give to writing characters of a different gender, race, religion or sexuality, even if the questions they need to ask themselves are different.